One of the exceptional characteristics of the Triolon Excalibur is an extreme range of dynamcs. Very small amplifiers delivering 15 W / channel are sufficient to achieve an extremely high quality of music-reproduction. 4 very fast bass units per channel have been exactly adapted to the spherical horns concerning their dynamic behaviour. The position of the horns in relation to each other as well as towards the bass units is exceptional so that the best performance is possible even with the smallest sound surface. 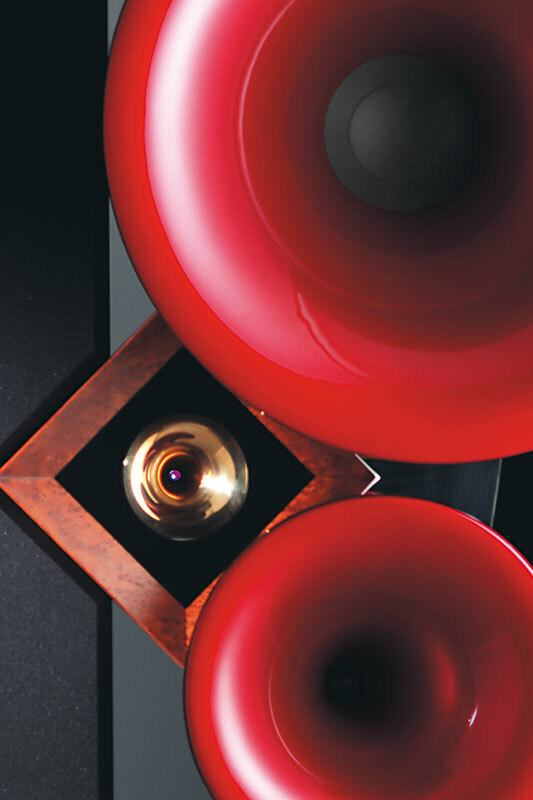 This exceptional loudspeaker system can be used in rooms of only 25 m².